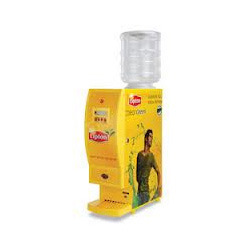 Since inception, we are engaged in catering to the variegated requirements of the customers by bringing forth a broad gamut of Lipton Vending Machines. Our offered range consists of 8 Option, 4 Option, 3 Option, 2 Option Vending Machines and 2 Option Lipton Coffee Vending Machines. Our vendors manufacture this array using optimum-grade raw-material and cutting-edge technologies at our sound infrastructure. For its durability, easy to use and ensure reliable performance, our product-line is widely appreciated in the market. 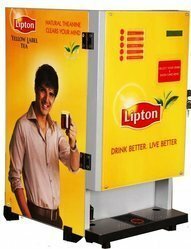 Backed by sound infrastructure, we are able to distribute, supply and trade a broad range of 2 Option Lipton Vending Machines. Our vendors manufacture this range as per the international quality parameters by using optimum quality raw material. Available in various custom-build specifications, this range is widely demanded in the market and appreciated for its performance and attributes. Water tank capacity 20 ltrs. Weight of machine 28 kg. 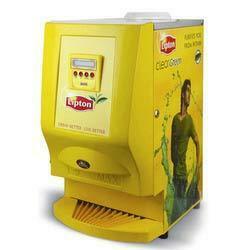 With the help of competent professionals, we have been able to offer a wide range of 3 Option Lipton Vending Machine. Our efficient vendors manufacture this offered range of products using optimum-grade raw-material and globally advanced technologies. To stand tall on the expectations of patrons, we are offering this range in various sizes, design and custom-made models. Weight of machine 40 kg. 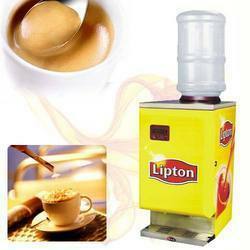 Owing to our profound knowledge this domain, we are engaged in offering a wide range of 4 Option Lipton Vending Machine. Our product-line is available in various sizes, designs and custom-build models in order to serve our clients as par the international quality parameters. Moreover, our entire gamut of this machine is stringently examined on basis of various quality standards at our in-house quality testing unit. Looking for Lipton Vending Machines ?